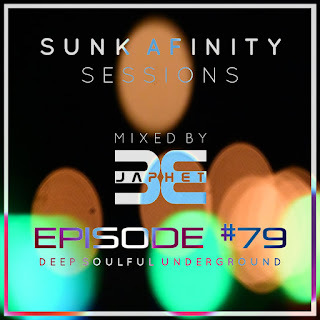 Sunk Afinity Sessions Episode 74..
Show #79 featuring the latest deep and deep techno grooves taken from a world of underground electronic music. Also look out for October's new guest show from the excellent producer/dj Oleg Zolotarev. Cheers and enjoy the podcast! Welcome to the this month's Sunk Afinity Sessions Guest Mix featuring the excellent mixing talents of Tuscany's very own Camillo Blanco, second all vinyl session off the belt and just for your listening pleasure we have a third in store next month too! Enjoy the music as always and thanks for listening, please feeel free to like and comment all you wish.. Salute!